So apparently the Scarecrow wants everybody out of Gotham City unless they want to experience their worst fears. Naturally Batman's gonna stop him like always in this new game Batman: Arkham Knight. At first you'd be thinkin' any word associated with Knight has to be Batman right? Apparently the Arkham Knight they've been referring to is a different character all on it's own with gadgets and armor inspired most likely by Batman himself. So who is the Arkham Knight? 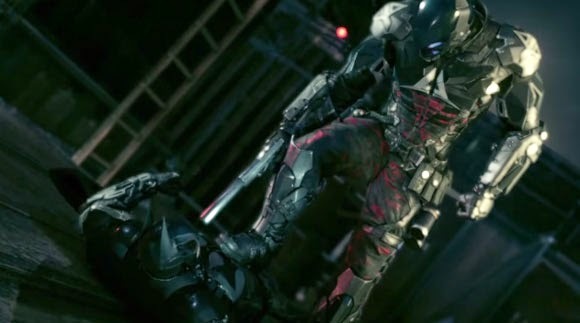 I don't know but I do like how the gameplay trailer for Batman: Arkham Knight looked. You can go ahead and watch the whole thing after the break.